Abrams, M. H. "The Prelude and The Recluse: Wordsworth's Long Journey Home". [Orig in Natural Supernaturalism]. Wordsworth: A Collection of Critical Essays: Twentieth Century Views. Ed. M. H. Abrams. Englewood Cliffs: Prentice Hall, 1972. Barker, Juliet. William Wordsworth: A Life. New York: Ecco, 2005. Bate, Jonathan. Romantic Ecology: Wordsworth and the Environmental Tradition. London: Routledge, 1991. Bourke, Richard. Romantic Discourse and Political Modernity: Wordsworth. The Intellectual and Cultural Critique. Hemel Hempstead: Harvester Wheatsheaf, 1993. Butler, James A. 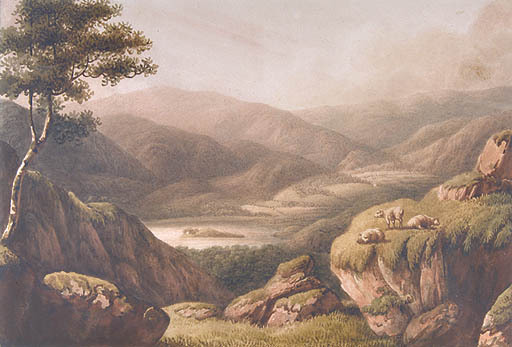 "Christopher Wordsworth and the Text of Home at Grasmere." The Wordsworth Circle 3 (1972): 179-80. ---. "This Sublime Retirement: A Textual and Literary Study of Wordsworth's Home at Grasmere." Diss. Cornell, 1971. ---. "Wordsworth's Tuft of Primroses: 'An Unrelenting Doom.'" SIR 14.3 (Summer 1975): 237-48. ---. "Tourist or Native Son: Wordsworth's Homecomings of 1799-1800." Nineteenth Century Literature 51 (1996-97): 1-15. Choi, Dong-oh. "Ecological Vision in Selected Poems of William Wordsworth, 1798-1800. Diss. Abstracts International 59.9, 1999. Chun, Sehjae. "'Tokens of a Mutual Bond'": Sympathy in William Wordsworth's 'Preface' and Home at Grasmere." Nineteenth Century Literature in English 8.2. (2004): 151-172. Clarke, Bruce. "Wordsworth's Departed Swans: Sublimation and Sublimity in Home at Grasmere." SIR 19.3 (Fall 1980): 355-374. Darlington, Beth. 'Home at Grasmere': Part First, Book First, of 'The Recluse' by William Wordsworth. Ed. Beth Darlington. Ithaca: Cornell University Press, 1977. Davies, Lloyd. "'Home at Grasmere': or Romantic Contentment." Prism(s): Essays in Romanticism 7 (2001): 109-121. De Selincourt, E. and Helen Darbishire, eds. The Poetical Works of William Wordsworth 5 vols. V. The Excursion; The Recluse: Part I, Book I. Oxford at the Clarendon Press, 1949. Edgecombe, Rodney Stenning. "Regionalisms Ancient and Modern." Classical and Modern Literature: A Quarterly 14.1. (Fall 1993): 43-60. Finch, John Alban. "On the dating of Home at Grasmere: A New Approach." Wordsworth, Jonathan and Beth Darlington, eds. Bicentenary Wordsworth Studies in Memory of John Alban Finch. Ithaca: Cornell University Press, 1970. Friedman, Michael. The Making of a Tory Humanist: William Wordsworth and the Idea of Community. New York: Columbia University Press, 1979. Fosso, Kurt. Buried Communities: Wordsworth and the Bonds of Mourning. Albany NY: State University of New York Press, 2004. Gill, Stephen. Wordsworth: A Life. Oxford: Clarendon Press, 1989. Harding, A. J. "Forgetfulness and the Poetic Self in Home at Grasmere." The Wordsworth Circle 22.2. (Spring 1991): 109-118. Hartman, Geoffrey H. Wordsworth's Poetry 1787-1814. New Haven and London: Yale University Press, 1964 and 1971. Heinzelman, Kurt. The Economics of the Imagination. Amherst: Massachusetts University Press, 1980. Johnston, Kenneth R. "'Home at Grasmere' in 1800." [Orig. pub. in Wordsworth and The Recluse]. William Wordsworth: Modern Critical Views. Ed. Harold Bloom. New York: Chelsea House, 1985. ---. "'Home at Grasmere': Reclusive Song." Studies in Romanticism 14 (1975): 1-28. ---. Wordsworth and The Recluse. New Haven: Yale, 1984. Kroeber, Karl. "'Home at Grasmere': Ecological Holiness." Critical Essays on William Wordsworth. Ed. George Gilpin. Boston: G. K. Hall, 1990. ---. Romantic Landscape Vision: Constable and Wordsworth. Madison: Wisconsin University Press, 1975. Larkin, Peter. "The Secondary Wordsworth's First of Homes: Home at Grasmere." The Wordsworth Circle 15.2 (Spring 1985): 106-113. Lindenberger, Herbert. On Wordsworth's Prelude. Princeton: Princeton University Press, 1963. Magnuson, Paul. Coleridge and Wordsworth: A Lyrical Dialogue. Princeton University: Princeton University Press, 1988. McEathron, Scott. "Stuck at Grasmere: Wordsworth and the Limits of Native Authority." Romantic Generations: Essays in Honor of Robert F. Gleckner. Eds. Ghislaine McDayter, Guinn Batten and Barry Milligan. Lewisburg: Bucknell University Press, 2001). 203-20. McFarland, Thomas. William Wordsworth: Intensity and Achievement. Oxford: Clarendon Press, 1992. Mellown, Muriel J. "The Development of Imagery in Home at Grasmere." The Wordsworth Circle 5 (1974): 23-27. Miller. Judith Davis. "Home at Grasmere: A Conversation with Richard Wordsworth." Sacred Heart University Review 8.1-2 (Fall 1987): 65-70. Minto, William "Wordsworth's Great Failure." Nineteenth Century 26 (September 1889): 435-451. Modiano, Raimonda. "Blood Sacrifice, Gift Economy and the Edenic World: Wordsworth's 'Home at Grasmere.'" Studies in Romanticism 32 (1994): 481-521. Moorman, Mary. William Wordsworth, A Biography: The Early Years. Oxford at the Clarendon Press, 1957. ---. William Wordsworth, A Biography: The Later Years. Oxford at the Clarendon Press, 1965. Oda, Tomoya. "The Identity of Four Fragmentary Lines on Page 152 of MS B of Home at Grasmere." Notes and Queries 44 242.3 (Sept. 1997): 327-328. Peterfreund, Stuart. "Wordsworth, Milton, and the End of Adam's Dream." Milton and the Romantics 3 (1977): 14-21. Randel, Fred V. "Wordsworth's Homecoming." Studies in English Literature 17 (1977): 575-91. Rigby, Kate. Topographies of the Sacred: The Poetics of Place in European Romanticism. Charlottesville and London: University of Virginia Press, 2004. Turner, John. Wordsworth: Play and Politics. A Study of Wordsworth's Poetry 1787- 1800. Basingstoke: Macmillan, 1986. Ulmer, William A. "The Society of Death in Home at Grasmere." Philological Quarterly 75 (1996): 67-83. Wallace, Anne D. "Home at Grasmere Again: Revising the Family in Dove Cottage." Literary Couplings, Collaborators, and the Construction of Authorship. Eds. Marjorie Stone and Judith Thompson. Madison, WI: University of Wisconsin Press, 2006. Wiley, Michael. Romantic Geography: Wordsworth and Anglo-European Spaces. London: Macmillan, 1998. Woof, Pamela. "Dove Cottage in 1800." The Wordsworth Circle 31.3 (Summer 2000): 133-142. Wordsworth, Jonathan. William Wordsworth: The Borders of Vision. Oxford: Clarendon 1982. ---. "Secession at Grasmere." TLS (26 March, 1976): 354-355. ---. "On Man, on Nature, and on Human Life." Review of English Studies 31:1 (1980): 17-29.